Picture of Nala, a favorite pet on the Big Island. 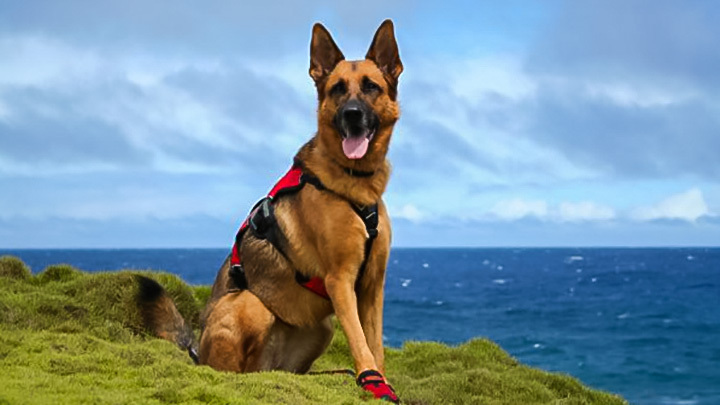 Here are things to consider when traveling to Hawaii with pets. Image courtesy of Mary Hon. Thinking About Traveling to Hawaii with Pets? Anyone traveling to Hawaii with pets must fully comply with the State of Hawaii’s quarantine rules. Visitors may not exit the airport quarantine area without doing so. Traveling to Hawaii with pets can be an extremely challenging process. Hawaii is the only state in America never to have an indigenous case of rabies. To maintain this record, Hawaii’s Animal Quarantine Branch has gone to great lengths to protect the islands. We advise all visitors traveling to Hawaii with pets to be aware of the difficulty of the quarantine process. You will need to be ready to comply with the exact stipulations for your pet to enter the State. In order to gain access into Hawaii, pet owners must complete these primary requirements before boarding any aircraft. You must have vaccinated your pet for rabies at least twice in its lifetime at least a month apart. The pet must have a functioning microchip. The pet must pass the OIE-FAVN Rabies Blood Test. Owners must do this at least 120 days before arrival into Hawaii and not longer than 36 months after. Should you arrive before the 120 days have passed, the State may legally hold your pet until that time. You must bring the correct documentation to Hawaii. Visitors must have certificates of the pet’s two most recent rabies vaccinations. Travelers must provide a recent official bill of good health for their pet. Plus, they will need a certificate verifying a vet has given the pet tick treatments 14 days prior to arrival. Plan to be in Hawaii during the same time frame as your current OIE-FAVN rabies blood test? If so, you must bring the Airport Release card given to you when your pet was last in the state. Based on the current program, the State may return any pet to the owner upon arrival at the airport. However, the owner must first adhere to the above requirements prior to the journey. Bear in mind, depending on the pet’s age, some of these might be time sensitive. For example, it would require 4 months to clear an adult pet with a rabies vaccination. Another example is the animal must be at least 10 months old to be accepted. Be completely sure that your pet has met with all the stipulations to be eligible for the 5-days-or-less quarantine. Plus, review the details on the official form and complete all the requirements listed. If the pet has accomplished all the requirements–both before arrival and being found satisfactory upon arrival in Hawaii–then the animal might be granted a stay of 5 days or less. If the dog or cat does not pass the import requirements, they may be quarantined up to 120 days. People traveling to Hawaii with pets should buy tickets for arrival anytime between 8 am to 3:30 pm. Doing so will allow them to go through pet-inspection process before the offices close at 5 pm. For flights that are delayed or arriving after 5 pm, pets will be held overnight until the next morning’s review. The State will hold the animals at the Airport Animal Quarantine Holding Facility. Owners must reclaim their pet by 10 am or they will be responsible for a $59 fee. These quarantine laws do not apply for visitors coming from regions where the rabies-prevention laws are equal or stricter to Hawaii’s. As such, travelers from New Zealand, Guam, Australia and the United Kingdom are exempt from Hawaii’s quarantine procedures. As long as pets have lived continuously in these countries for the six months before traveling and meet requirements, they may enter Hawaii without quarantine.